I am slacking from my original intent of this blog which was to show my sewing and DIY projects. I sew and DIY nearly every day, but fail to take the time to take photos and blog….. as I am a blog slacker, my goal is to now blog my projects and not to let them sit on the wayside. 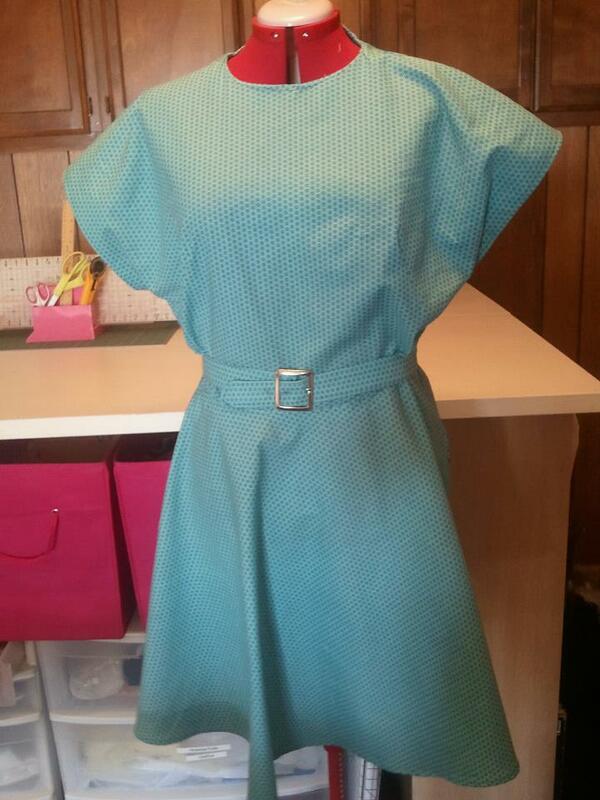 I created this dress for a customer out of fabric that she had purchased elsewhere. She opted not to have the shoulder pads nor the breast pocket and I shortened the length of the skirt and altered the bust and sleeves for her, but she still did not like how it looked on her, attributing it mostly to how the fabric resembled a hospital gown. So, we decided to instead, make a skirt of the dress and I removed the bodice and fitted the skirt to her. Every time I look at this photo now, I think of a hospital gown…. 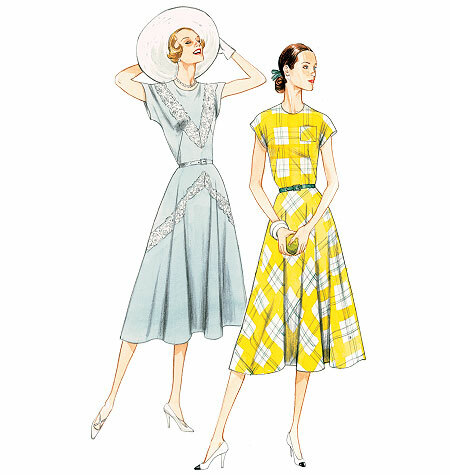 The pattern used for this dress was Vogue 8811, a Vintage Vogue pattern from 1940. I am actually going to be making this same pattern for myself out of peacock cotton broadcloth and will be wearing this with the 1940s length, shoulder pads and breast pocket. It’s on my list of things to do, but I probably won’t get to it until after the new year. « Cody Has Been Adopted! I agree with you on all counts! I think when you make a vintage pattern and are going for a vintage 40s look, a longer skirt and shoulder pads are definitely in order! Cute dress, but I see what you mean about the hospital gown thing:-/ A contrasting color for the belt and/or trim of some type would probably take care of that. It most likely doesn’t hang as nicely from the shoulders with out shoulder pads contributing to the sack look of a hospital gown. I will be anxious to see how it turns out for you at the proper length and with the pocket and shoulder pads.